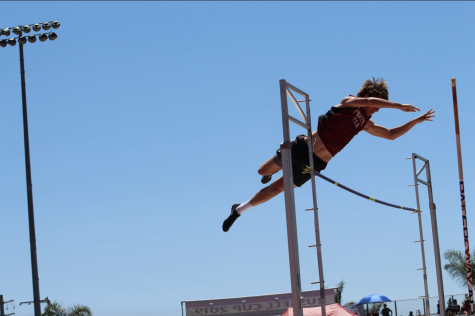 A cold breeze rushed through the air as the Dragons prepared to face off against their league opponents, the Carpinteria Warriors. 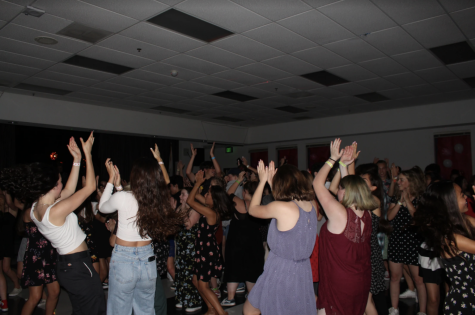 A crowd of parents, students, and community members gathered at the Ventura Aquatic Center, prepared to cheer on their team in Foothill’s final home game of the season. 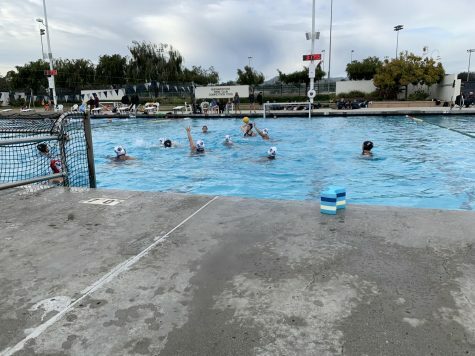 On Wednesday, the Foothill girls’ varsity water polo team clinched their second victory over Carpinteria this season with a score of 15-3. As soon as Lezly Plahn ‘17 retrieved first ball, the Dragons displayed their offensive force. Just 15 seconds into the game, Josie Thorp ‘18 found Jaina Malach ‘18, and Malach scored the first goal for Foothill. 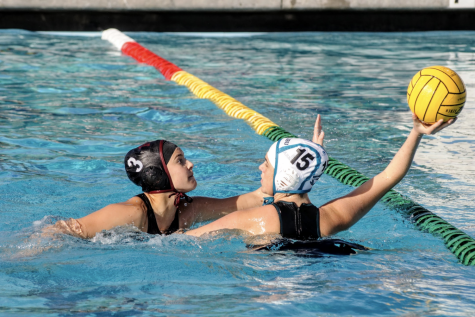 Carpinteria’s offense attempted to retaliate, but the Dragons came up with a defensive stop. The ball was then passed to Thorp, who was fouled and awarded a penalty shot. Thorp scored to give the Dragons a 2-0 lead in just 40 seconds of play. 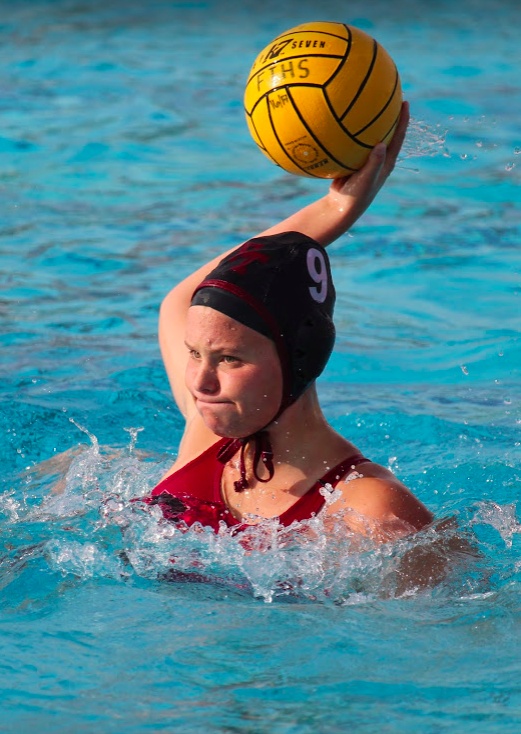 Three minutes later, goalkeeper Taylor Wreesman ‘18 made a save to keep the Warriors off of the scoreboard, and Foothill had possession once more. Plahn passed the ball to Annika Arroyo ‘20, and Arroyo tallied on the third goal for the Dragons. The offense kept rolling as Sydney Roman ‘19 scored on a pass from Morgan McKillican ‘19, extending the lead to four goals. As the first quarter came to a close, Foothill held a 4-0 lead. 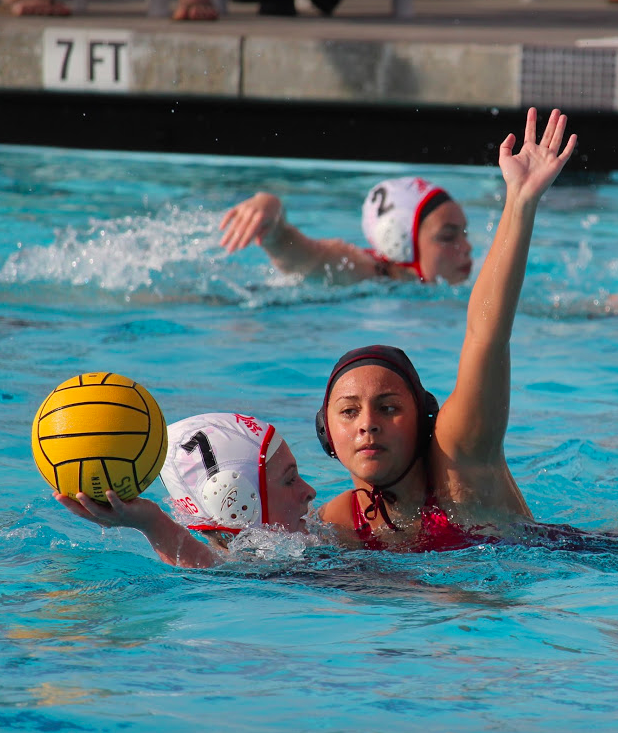 Carpinteria received possession to start the second quarter, but failed to capitalize on a missed shot on goal. Similar to the first quarter, Foothill’s offense started strong when Thorp scored to stretch the lead to 5-0. Three minutes later, Thorp struck again with her third goal of the contest, and the lead increased to 6-0. 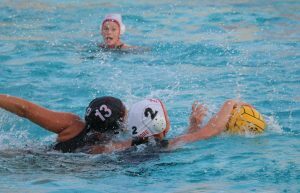 Carpinteria attempted to respond with a goal of their own, but the ball was stolen by the Dragons’ defense. Plahn bolted down the pool on a fast break and added yet another Foothill goal. After the score, the Warriors entered Foothill territory and got two shots on goal, but Wreesman blocked them both. 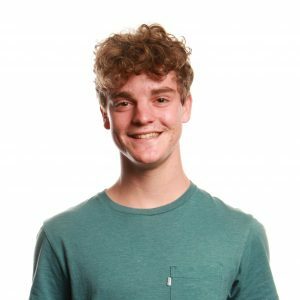 However, Carpinteria finally got one past Wreesman, scoring their first goal of the game and cutting the Dragons’ lead to 7-1. Foothill wasted no time retaliating, as McKillican scored and re-extended the lead to seven goals. The Dragons closed out an impressive first half with two more goals from Abigail Massar ‘18 and Plahn, respectively. A six-goal second quarter for the Dragons left them heading into halftime with a 10-1 lead. 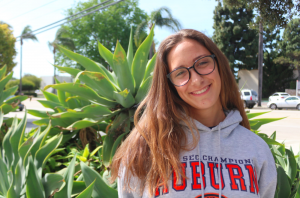 “They are at their best swimming abilities, they are at their best water polo abilities, everything is meshed together right now,” she said. As the second half began, Foothill obtained first possession and attempted to add to their lead. Two shots on goal for the Dragons were saved by Carpinteria’s goalkeeper and the Warriors threatened to score. 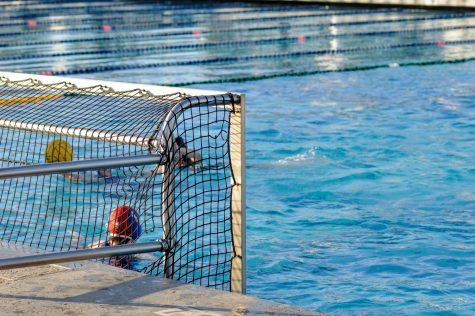 A Carpinteria player was fouled inside Dragons territory and the penalty shot by the Warriors hit the top crossbar. 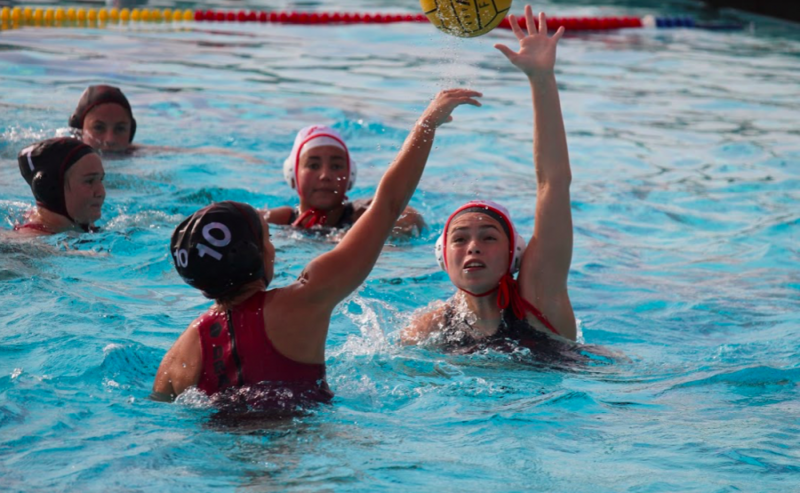 However, Carpinteria grabbed the missed shot and followed with a score, reducing the lead to 10-2. About three minutes of scoreless play occurred due to tough defense from both sides, but Plahn broke the ice with the Dragons’ first goal of the second half. One minute later, Serafina McClain ‘18 followed suit, scoring the Dragons’ twelfth goal of the afternoon. 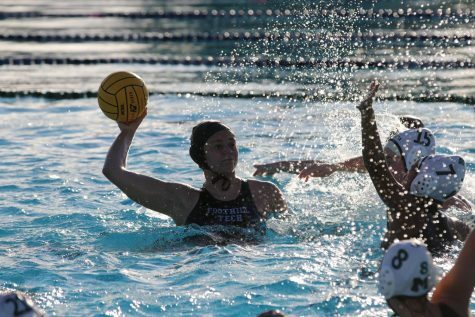 Once the third quarter concluded, Foothill held a commanding 12-2 lead. 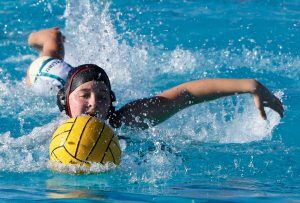 After the Dragons retrieved the ball in the final quarter and Marinaro called timeout, the Carpinteria goalkeeper prevented Foothill from scoring twice more, but Plahn rebounded the ball and scored. Foothill and Carpinteria traded possession until the last minute of the game. Plahn found McKillican, who added another score with 35 seconds left to play. Instead of running the clock down, Plahn quickly cut through the defense and tallied the final goal for the Dragons. With only six seconds left and a running clock, the game appeared to be over, but Carpinteria made one final push to score. A Warriors player was fouled and received a penalty shot, on which they scored a last-second goal. The buzzer finally sounded, signaling the end of a 15-3 Dragons victory. Marinaro believed that the team executed their gameplan well, but also noted that there are “a couple things we need to work on.” In addition, Marinaro adapted to the nine goal lead at halftime by resting some starters. 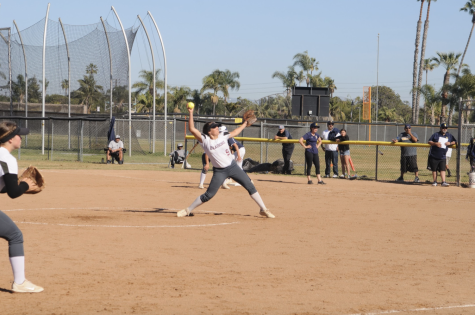 As the regular season winds down, the CIF Playoffs start to become a factor. When asked about the playoffs, Marinaro stated that the team is prepared to make a run for a championship. 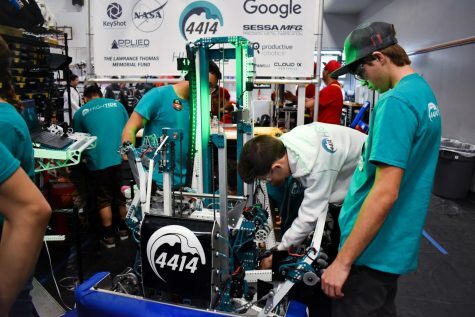 However, the team has yet to compete in their final two contests before the playoffs, which include the Varsity Conqueror Classic at Los Altos High School and a road game against their league opponents, the Malibu Sharks. Another superbly written article Nick. You captured the flow of the game well.